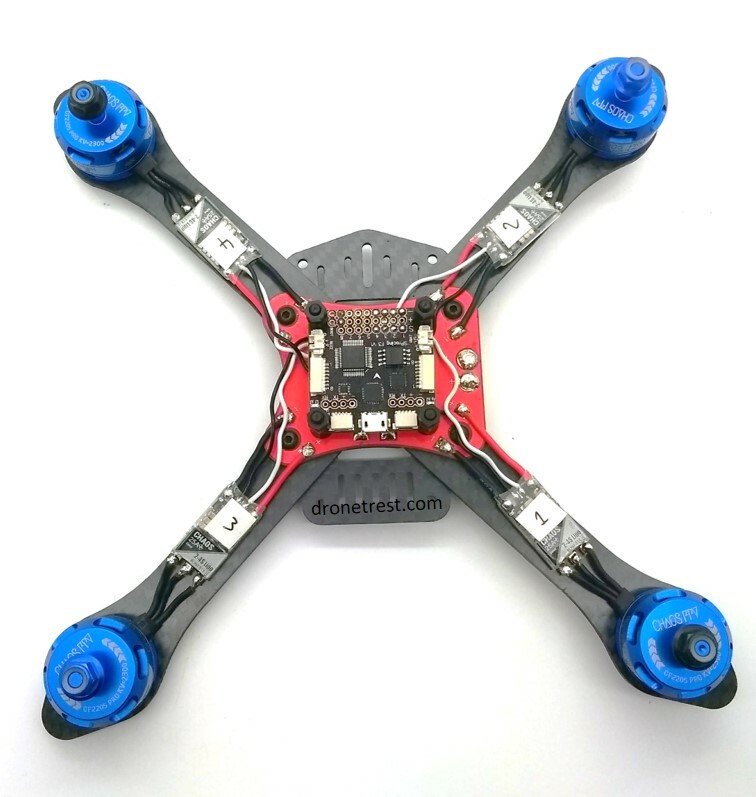 Want to build your first FPV (First-Person-View) racing quadcopter but don’t know where to start? Follow this step-by-step guide and anybody can do it! 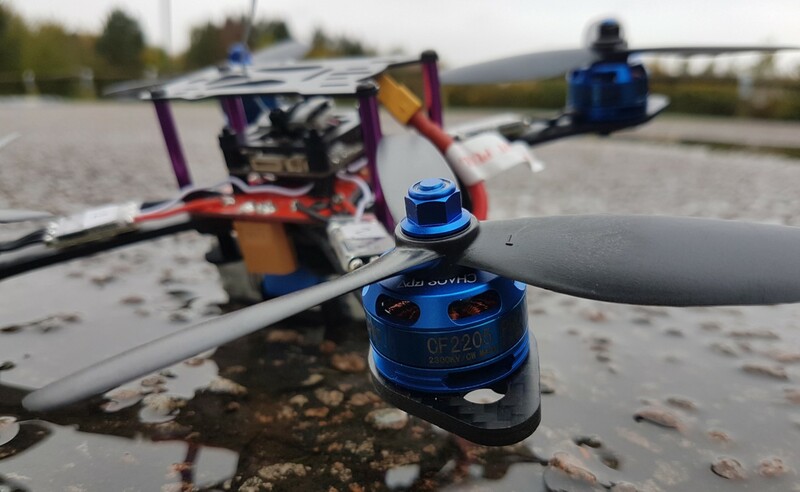 We will be using the Martian III 220 DIY FPV Racing Quadcopter Kit which comprises of decent, high-quality equipment that doesn’t cost the Earth but that you can rely on. This is the perfect kit for all you beginners out there (and even those who have some FPV experience). ⚠️Tip: We recommend that you have some experience in soldering before attempting this build. Have a look at some soldering tutorials online if you need help. So first things first, we will get the frame built. This is actually fairly tricky as there isn’t a manual included with the frame and so we’ll take this quite slowly. Please see below for the main parts that you get with the Martian III 220. We have labelled the main plates for ease of reference. We’ve tried to be logical about this and so the labels refer to order of the plates from the bottom of the frame, up to the top. So we start with plate A (which is the plate to which we attach the battery strap) and we screw in 4 of the small screws into 4 of the plain spacers provided. You should end up with what we have below. We then need to attach several of the plates all at once as we use the same screw to secure the bunch. It is important to get the order of the plates correct here, and so please follow the labelling system we outlined in the picture above. You can see in the image above that the order of the build should be plate A, followed by plate B (with spacers in the middle), followed by the arms, followed by plate C and then plate D. You thread the long screw through from the top all the way into the spacer we secured into plate A. ❗ Note: the red plate (i.e. plate D) is the Power Distribution Board (PDB). This, as you may guess, distributes the power from the battery to all the necessary electronics. Plate C is an insulation plate for the PDB. It’s made from glass fibre that doesn’t conduct electricity and it, therefore, stops any short circuits. Please note that the PDB is orientated sideways in relation to the front of the frame (which is indicated by the arrow on the picture above). It doesn’t matter which side, but if it is not sideways, the build won’t work. Be sure not to over-tighten any screws at this point as you don’t want to strip the thread. Once you have done that, you should end up with something like what you see above. When you are slotting the arms in, ensure that the all the holes line up with those in the PDB etc. You will notice that there are holes in the arms that are not currently being used – we will rectify that now. We will, however, ignore the 4 innermost screw holes on the PDB. We now flip the frame over to access plate A. We undo 3 of the 4 screws securing plate A in place so that we can move the plate out of the way. We then slot a long screw up from the bottom, through plate B, the arm, plate C and plate D (the PDB). We secure this screw with one of the standoffs pictured above. A useful trick to try if you are struggling to get the holes exactly aligned is to use the tips of some tweezers (if you have pointy ones like us) or similar. This just gets the plates to co-operate and makes things a little easier. 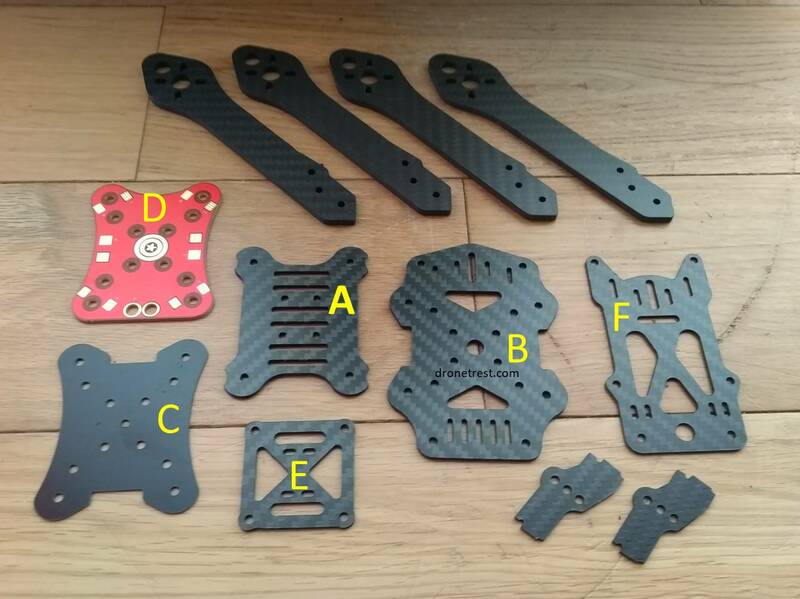 We put the frame to one side for the moment and now we concentrate on the ChaosFPV motors and Chaos ESCs. If you have some experience in soldering (which we highly recommend you do before attempting this build), this will be a fairly easy step. 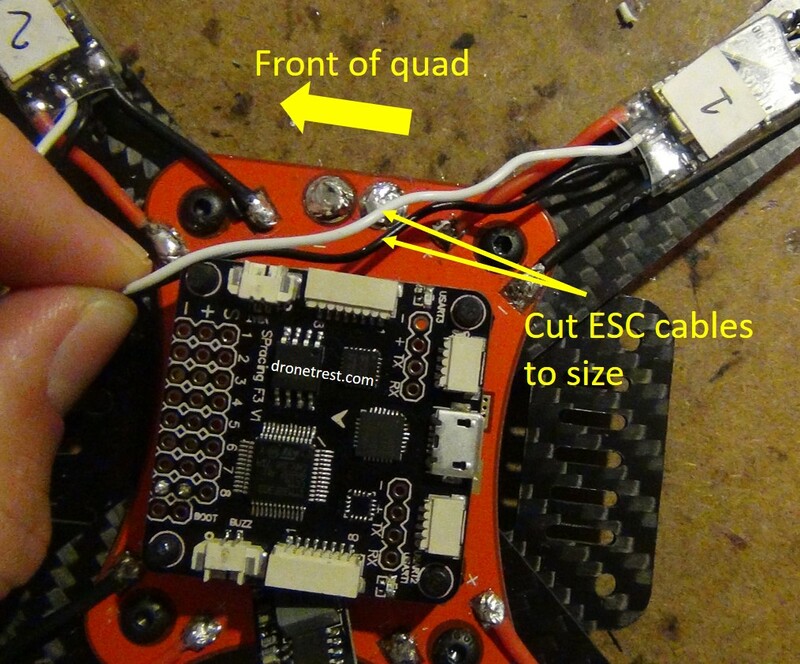 All you have to do is to solder the three motor wires onto the three solder pads on the ESC. 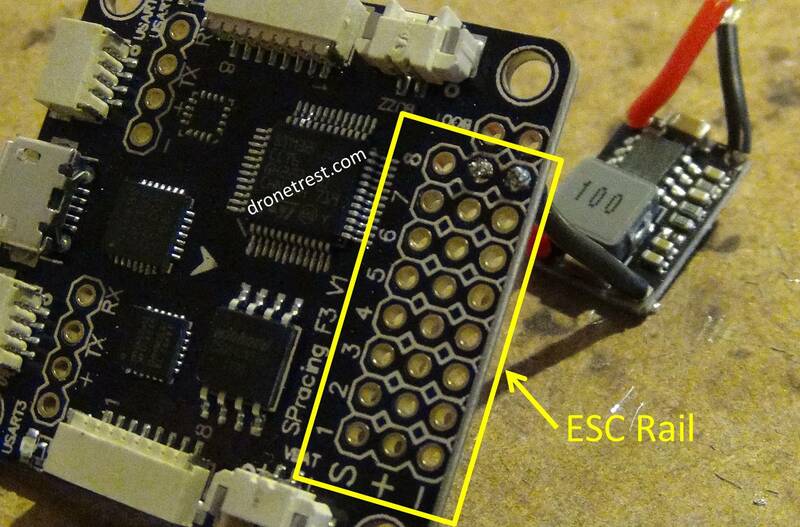 You can solder any motor onto any ESC and you can even solder the motor wires onto any ESC pad (1 wire to 1 pad). We recommend you do as you see in the picture and just solder them in order. Also, you will want to cut the motor wires down to size. We left about an inch of wire as you can see, but you can leave more should you wish – you’ll just have to tidy them up later. If you cut a cable down to size, you will need to expose the wire at the tip. This entails stripping the silicone casing from the cable (just at the tip). You then need to tin the exposed end by applying heat to the tip and adding solder. If soldering this cable to a pad, you first need to add some solder onto the pad (heat the pad up and apply solder). You should then be able to solder the exposed end to the pad by pressing the two together and applying heat. After having done this, we are going to label each ESC depending on what motor it is attached to. 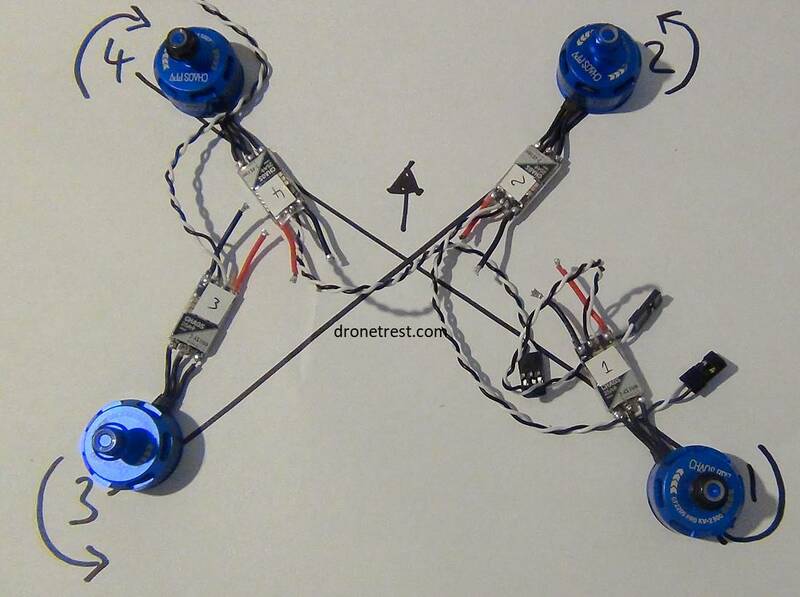 In the picture above, we have sketched out the correct motor orientation (according to BetaFlight). You will notice that a motor that spins clockwise (i.e. has a black nut) should be on the top left and the bottom right of the frame, and a motor that spins counter-clockwise (i.e. has a blue nut) should be on the top right and, correspondingly, the bottom left). We then label the ESCs correspondingly with a bit of white sticky tape as this will make things easier later. Now that we have the motors soldered to the ESCs, all we need to do now is to attach them to the correct arm, and then solder the ESC power cables to the PDB. So we go back to the frame we built earlier and flip it over. We then thread the motor screws up from the bottom, through the arm and into the motor. 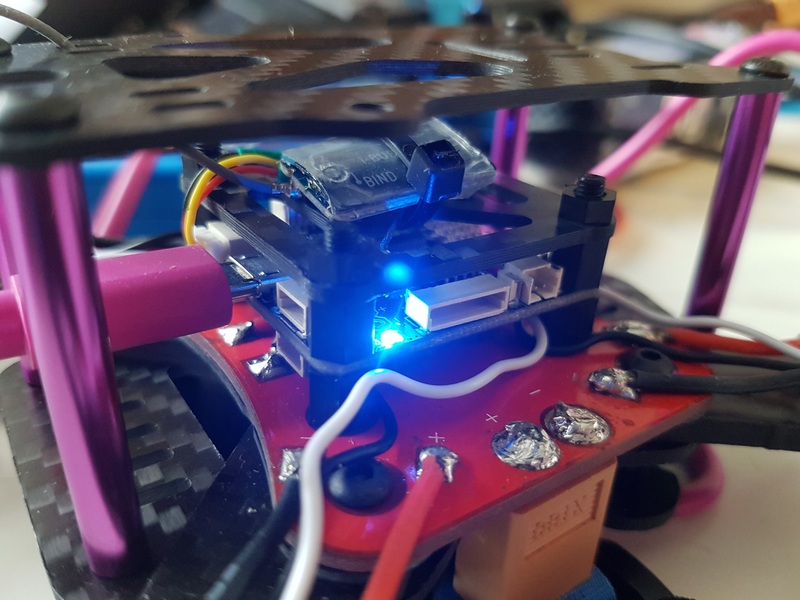 Be sure to align the holes in the arm with the correct motor holes – you don’t want to be screwing any screws directly into the copper wiring… Also, the motor should be placed such that the ESC sits on the arm i.e. it doesn’t stick out of the frame. 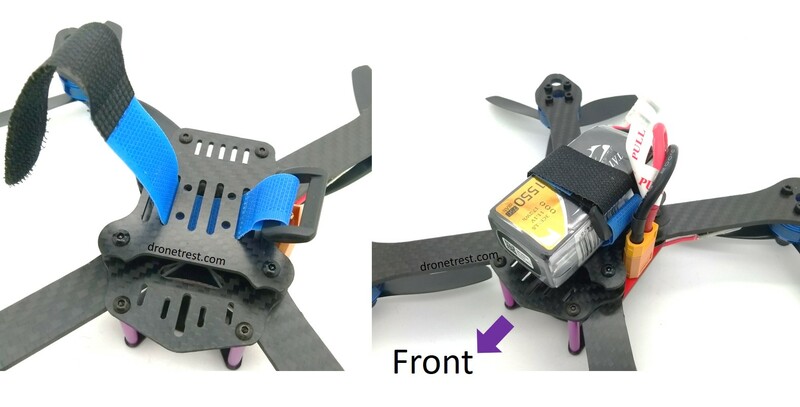 Please also make sure that you attach the correct motor to the correct arm on the frame. In the picture above, you can see the frame orientated with an arrow indicating the front of the quad. This corresponds to the arrow we drew on the piece of paper earlier and the motors should be attached as you see here. We now need to solder the power cables on the ESC to the PDB. The power cables are the black and red wires coming from the ESC NOT the black and white, smaller wires. We first need to cut these cables down to size. If you’ve left longer motor cables than us, place the ESC where you will position it on the arm (i.e. mid-way up the arm) and measure how long the ESC power cables will need to be to reach the pads on the PDB. You can then cut them but DON’T discard the cut-offs – we will need them later. Be careful when soldering these cables, you need to solder them to the correct pads. 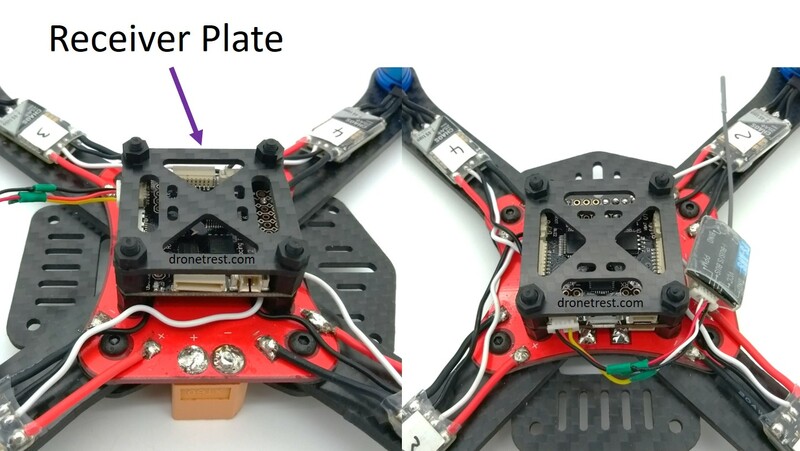 You will notice that the pads on the PDB are labelled ‘+’ and ‘-‘. You need to solder the red ESC cable to a positive pad and the black cable to the negative. This is vital, so make sure you do this. We also need to solder the XT60 connector onto the PDB at this point. This is the yellow connector that comes in the frame kit and this is the connector to which you connect the battery. Couple of things to watch out for here. It’s best to attach the connector so that it points downwards (easier to plug in the battery then), and be sure to solder the connector so that the ‘+’ on the connector matches up with the ‘+’ on the PDB. Also, try to make sure there is no gap between the connector and the PDB (unlike our first attempt on the left…). Before we get into the details of connecting up the flight controller, here is an overall connection diagram. 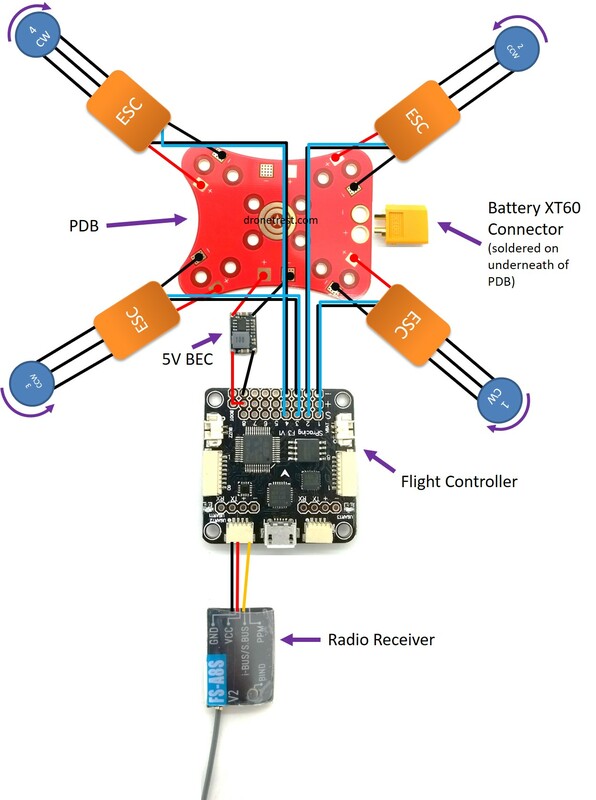 This shows you everything that connects to the PDB and to the flight controller but don’t be put off if this looks a little complicated! We’ll go through each step separately. We first need to solder some cables onto our BEC. Here, we will use the ESC cable cut-offs that you (hopefully) didn’t discard earlier. You expose the wire in the tip, insert the exposed wire through the holes in the BEC and apply solder to the reverse side. Make sure to solder a red cable to the ‘+’ pad and a black to the ‘-‘. Ensure the solder attaches to the BEC pad as well as the wire and make sure the cable is attached securely by pulling/pushing slightly on the cable. After you’ve got the cables connected, we can solder it to the flight controller. If you look at the BEC, you will see that there is an ‘input’ and an ‘output’ side. We are going to connect the cables coming from the ‘output’ side to the flight controller (FC), and the cables coming from the ‘input’ side to the PDB. On the FC, you will see a 3×8 table of connection pads – this is called the ESC rail. It is labelled ‘S’ (for signal), ‘+’ and ‘-‘ down the side and 1-8 along the top. These numbers refer to the number of motors you have on your quad. In this case, we will only be using the first 4 columns (as we only have 4 motors). In terms of attaching the BEC to the FC, we need to solder the black cable to a negative pad along the rail, and the red cable to a positive pad along the rail. Our ESC signal wires will be using the first 4 columns, leaving columns 5-8 unused and so we can take our pick of which of these pads we would like to use for the BEC. We went for the 8th column. Make sure to insert the wires from the bottom of the FC as the BEC will be positioned underneath the FC when it is installed on the frame. If the exposed wire is a little too thick to get through the holes, you can trim the wire back but be careful not to cut too much away. Also, it is very important to ensure that the positive and negative pads are not connected in any way. It is vital that there is no solder between the pads, no loose bits of wire or anything of this sort. Otherwise, you will short-circuit the board. We are now going to attach the other ESC cables (the smaller black and white cables) to the FC in much the same way as the BEC. What differs here, is that the white cable is connected to the ‘S’ row on the ESC rail (and the black to the negative but that’s the same as before). As before, we will thread the cables up from the bottom of the FC as this leaves us with a tidier build. First things first, we have to cut the signal cables down to size. 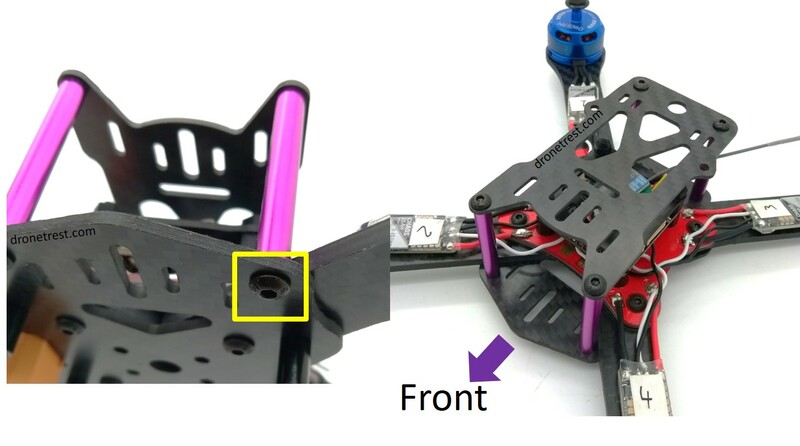 The FC will be positioned in the centre of the frame (on top of the standoffs) and so you measure how long your cables need to be for each ESC. When measuring, don’t forget to orientate the FC correctly on the frame. There is a little arrow on the FC and this should point towards the front of the quad. The length of the ESC cables will obviously change depending on the ESC and don’t forget to leave a little extra length for maneuverability. We now go about soldering the wires to the FC. This is where the ESC labels from earlier come in handy. The cables from ESC 1 must be soldered to the column labelled ‘1’ on the ESC rail, the cables from ESC 2 must be soldered to the column labelled ‘2’ etc. You can see above that we have done this for ESC 1. We then just complete the process through to ESC 4. If you are unsure of what connects to where, please have another look at the connection diagram above. You do this with the aid of a multimeter. You put it on the continuity setting and then you are ready to touch the probes to your positive and negative connections. Starting with the PDB, all the positive pads on the board are connected to one another and all the negative pads are connected to one another. 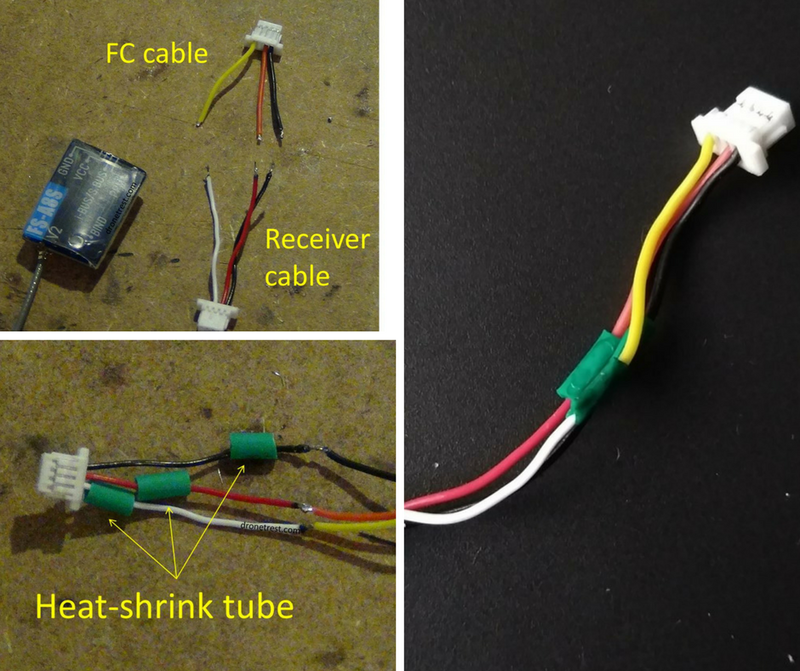 All you therefore need to do is to touch one probe to the positive part, and one probe to the negative part, of the battery connector. If these two (or any other positive and negative pads on the PDB) are connected, the multimeter will beep. You do NOT want to hear this sound. This means that if power is supplied to the PDB, it will short-circuit. If you hear a beep, you need to find out where the short is and fix it. This could be in the form of a bit of solder connecting a negative and a positive pad and so this will need to be removed. You can then test the connection again. You need to perform a similar test on the FC. This is treated as a separate circuit and so your initial test on the PDB doesn’t apply to the FC. Here, you need to touch the probes to a positive and a negative pad on the ESC rail and (ideally) hear no beep. Again, you need to clear away any solder/loose wire from the connections if you do hear a beep from the multimeter. At this stage in the build, we are very nearly done! You should have something that resembles the picture below. One of the last stages is to connect the radio receiver to the flight controller. This is done with a cable. 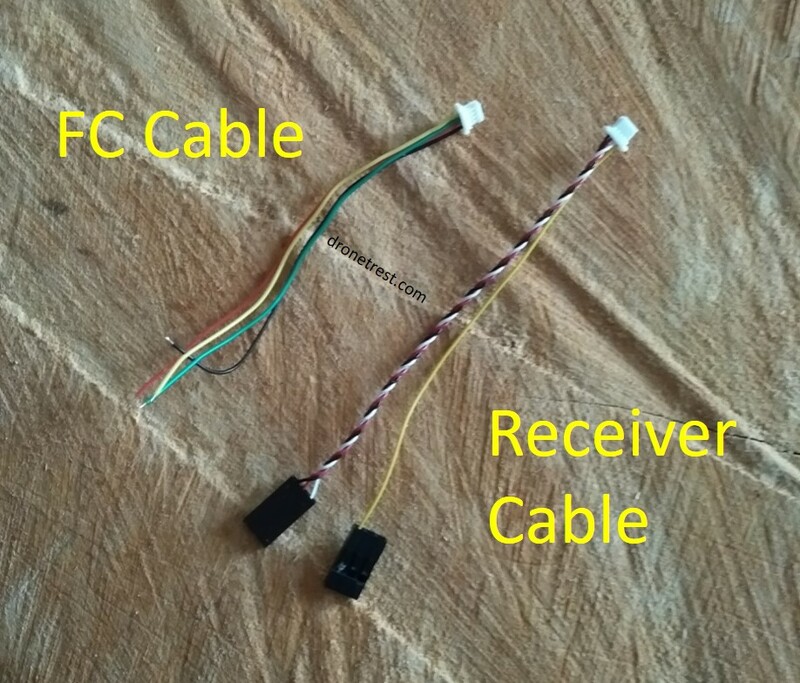 You will notice that you get several cables with the SP F3 Acro and the FS-A8S radio receiver and we are going to use one cable from each pack to create one modified cable. The two cables we need are pictured below. We first modify the receiver cable. We can remove the yellow wire here as this is the wire that would register the PPM signal – we will be using the receiver as a SBUS receiver and so we don’t need this wire. We do this by first cutting the cable (we only need about one inch), and then we can remove the yellow wire from the pin header. You simply lift up the small plastic clip (gently!) with some tweezers and you can slide the wire out. We now have a cable with a black, red and white wire as you can see below. There’s no need to connect it to the receiver, this is just for illustrative purposes. We need to do a similar job on the SP F3 flight controller cable. After having cut the cable down to size, we remove the green wire with tweezers. We now have two short cables and we need to solder the two together to make one. This is rather simple as we just need to solder the two red wires together, the two black together and the white and the yellow wire together. Ensure that you solder the wires correctly otherwise…well, just don’t do it. ⚠️Tip: Don’t forget to add heat-shrink! This is rubber coating that you slide over the cables before you solder them. Then, when you have connected the two wires, you slide the heat-shrink over the solder connection and apply heat to the heat-shrink. It will then shrink over the connection, creating a barrier. This is essential so that you do not create a short-circuit. 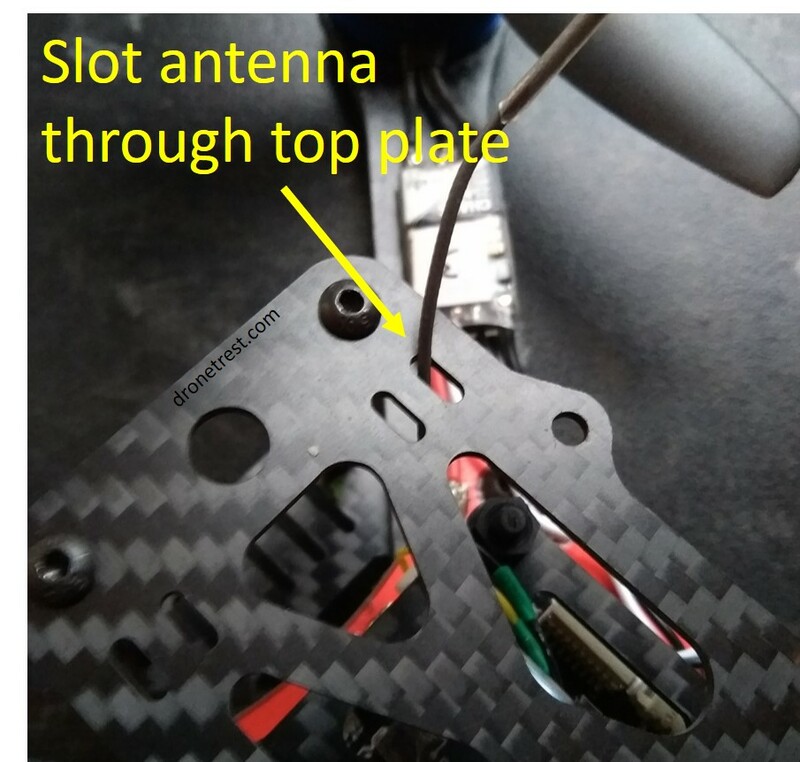 Once you have your modified cable, we are ready to connect the flight controller to the receiver. Simply connect the receiver end into the receiver (this is the cable with the white wire). Be careful to plug it in in the correct orientation – it only plugs in one way. 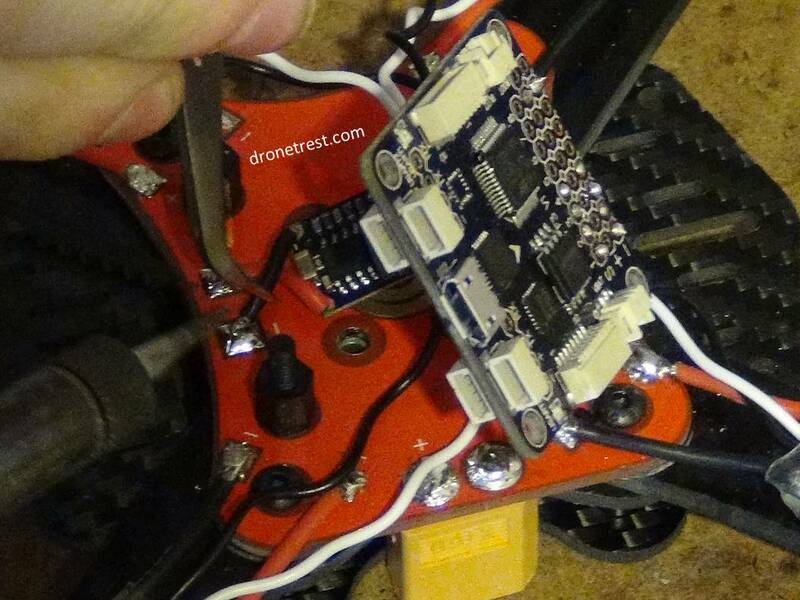 We then connect the cable to the flight controller on the quad. Be sure to plug the cable into UART 2 on the FC (pictured above). This is the port that is to the left of the USB port as we look down on the FC. Again, this can be plugged in only one orientation and so be careful here. 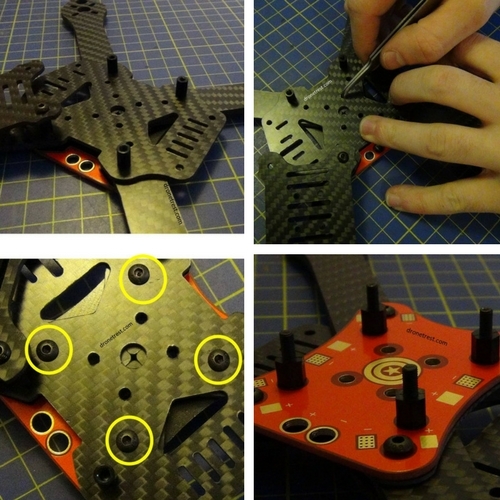 After doing this, you can then ensure the flight controller is secure by placing it on the standoffs in the middle of the quad and securing with another four nylon standoffs. 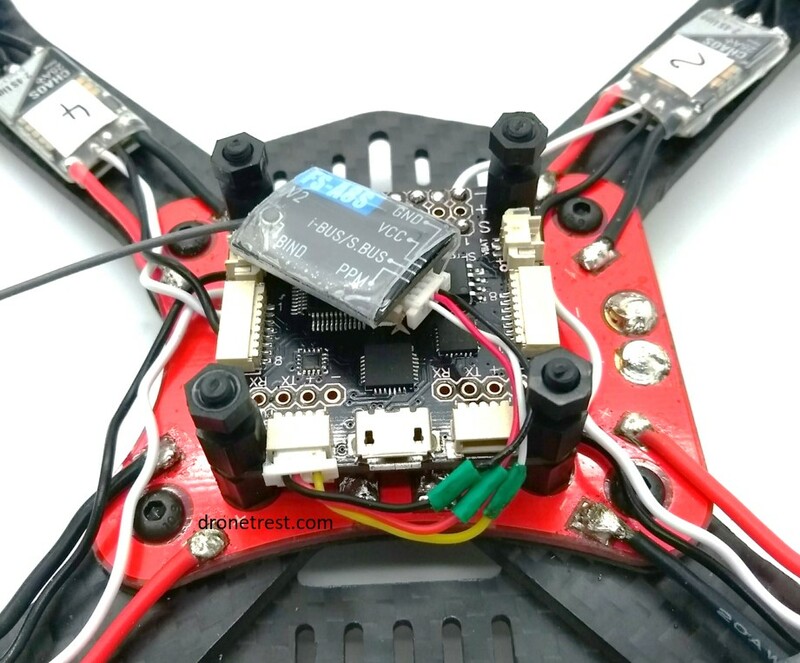 At this point in the build, if you have bought the FPV200 HS1177 Camera and VTX Bundle Pack, you will want to add this to your quad to add FPV capabilities. This means that you will be able to see the live footage from your quad (if you also have a goggles headset/a monitor to receive the signal). 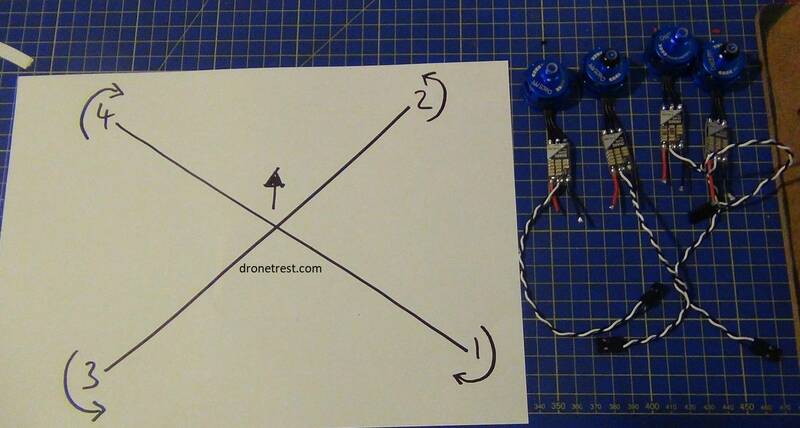 We have a separate guide that takes you through ‘How to add FPV to your Quadcopter’. Once you have completed this part of the process, we need to go on to…. Before we progress with the build any further, we should stop here and configure the SP F3 Acro flight controller. 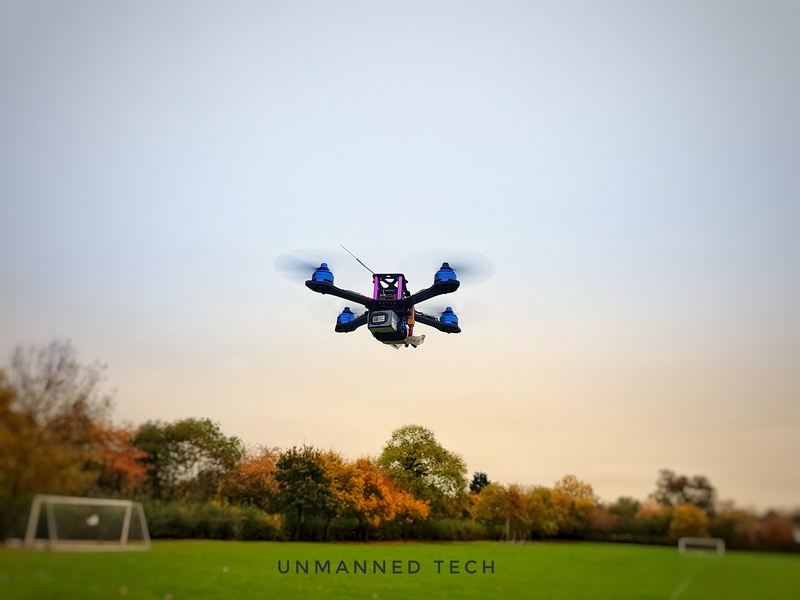 ‘Configuring’ simply means that we need to plug the FC into a computer and connect it up to BetaFlight (the software used most often nowadays) and go through a few steps. 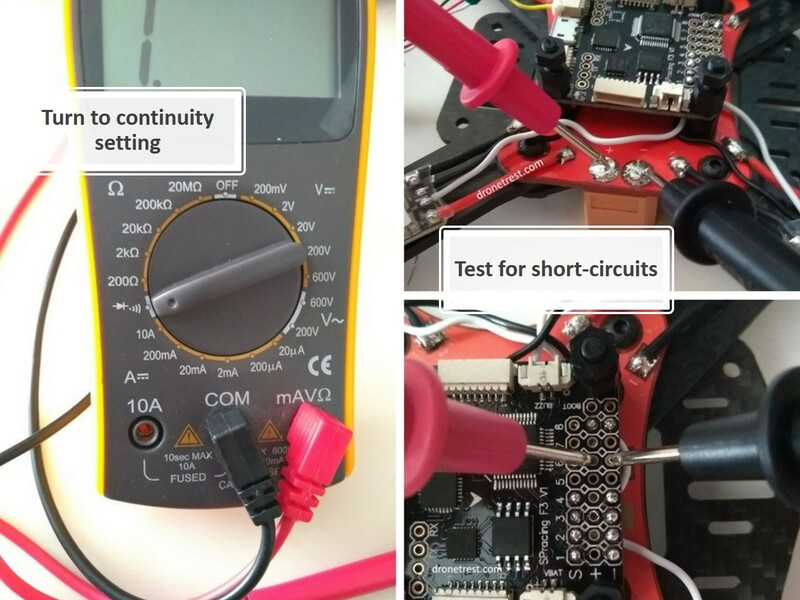 We have written another guide (How to Configure the SP F3 Flight Controller in Betaflight (Martian Series)) which takes you through the simple steps. 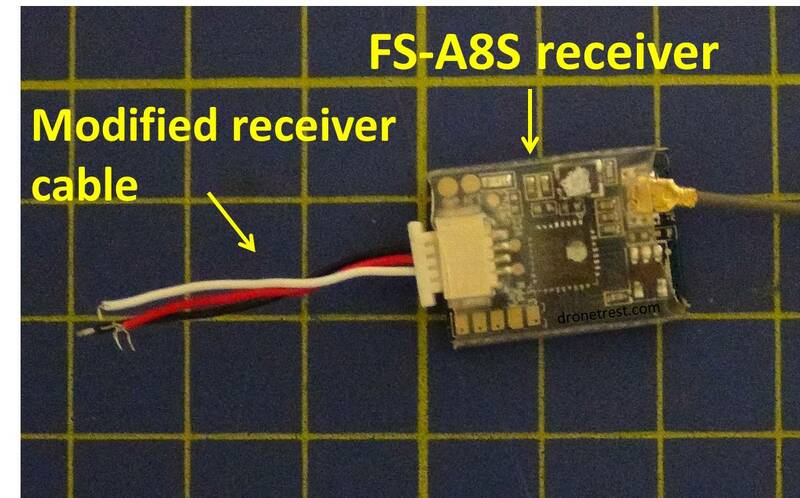 This guides also shows you how to bind your radio receiver to your FlySky FS-i6 radio. If you have made it this far, well done! 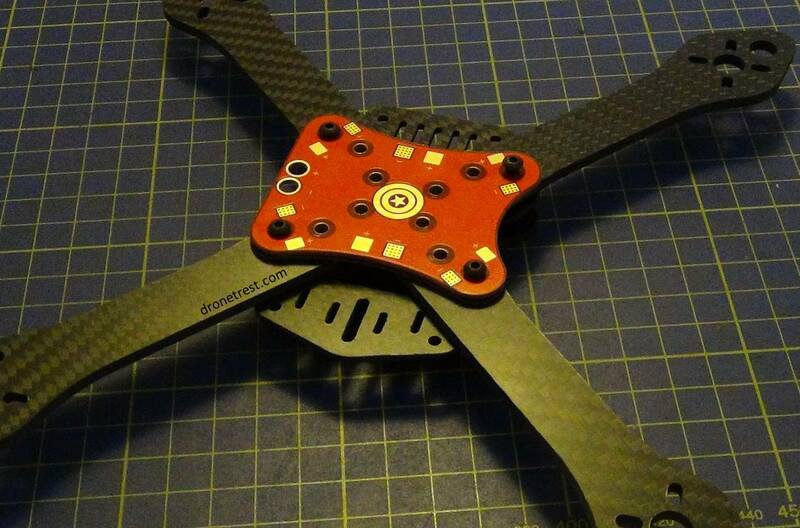 You almost have your first complete quadcopter! We just need to add the finishing touches here which involves securing the receiver in place, attaching the top plate and attaching the propellers. 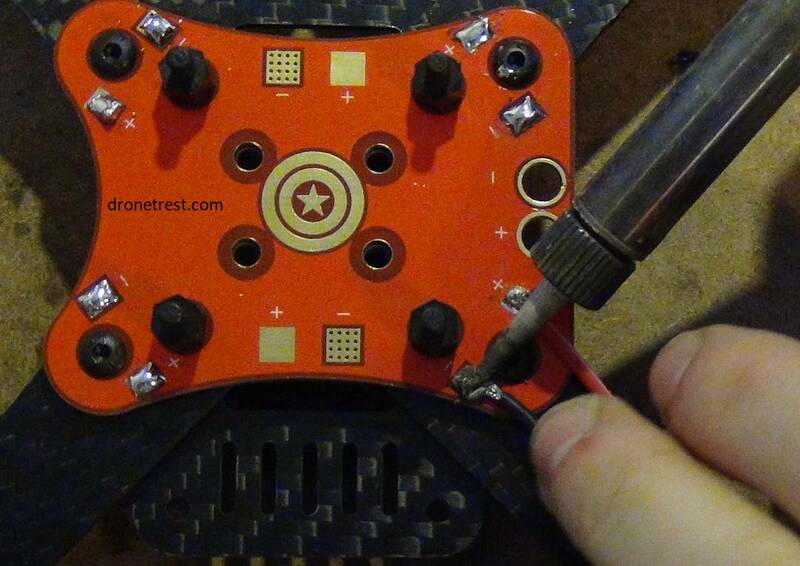 We first attach the receiver plate to the standoffs on the flight controller. We then secure it in place with some nuts. After completing this step, we need to secure the receiver to this plate. You can do this in several ways, we have gone for the zip-tie approach but you could easily mount it with some 3M mounting foam. A tip when inserting the zip-tie: bend the tip before putting it through the receiver plate. This means that you will easily be able to feed that end back through the plate. After doing this, secure the receiver done as shown. If the cable connecting the receiver is a tad long, you can tidy this away here by tucking it underneath the receiver. We now turn to the long purple standoffs that came with the frame. These attach to the four holes in the bottom plate (plate B if we refer to picture all the way at the start). We then attach the top plate onto these purple standoffs (as you might have guessed…). We now need to make the thing go and so we need to attach some propellers! We include the Diatone 5045 tri-blade propellers in the Martian kit and so these are the ones we will use (feel free to use any 5 inch propellers you may have). First things first, we need to remove the propeller nuts on the motors. You should be able to do this by hand. We then have to attach the correct propeller to the correct motor. 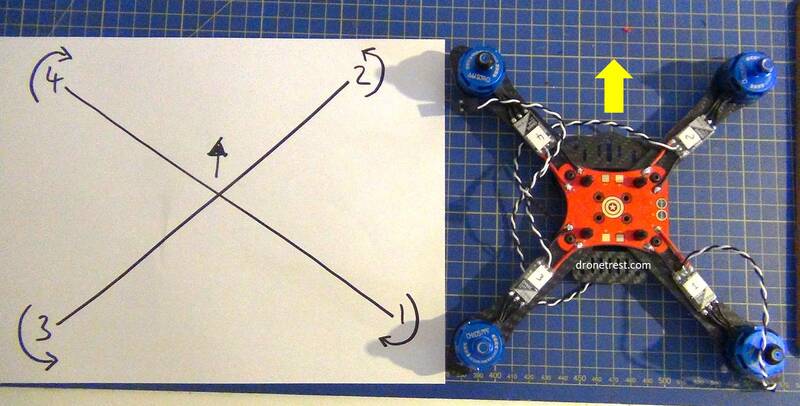 As you know, each motor has its own motor spin direction and so the propeller must match this spin direction (e.g. the propeller attached to motor 4 must spin clockwise). Looking closely at the propeller, you will see that they have either a small ‘L’ or a small ‘R’ on them. This refers to the direction they spin – L is for left (i.e. counter-clockwise) and R is for right (i.e. clockwise). 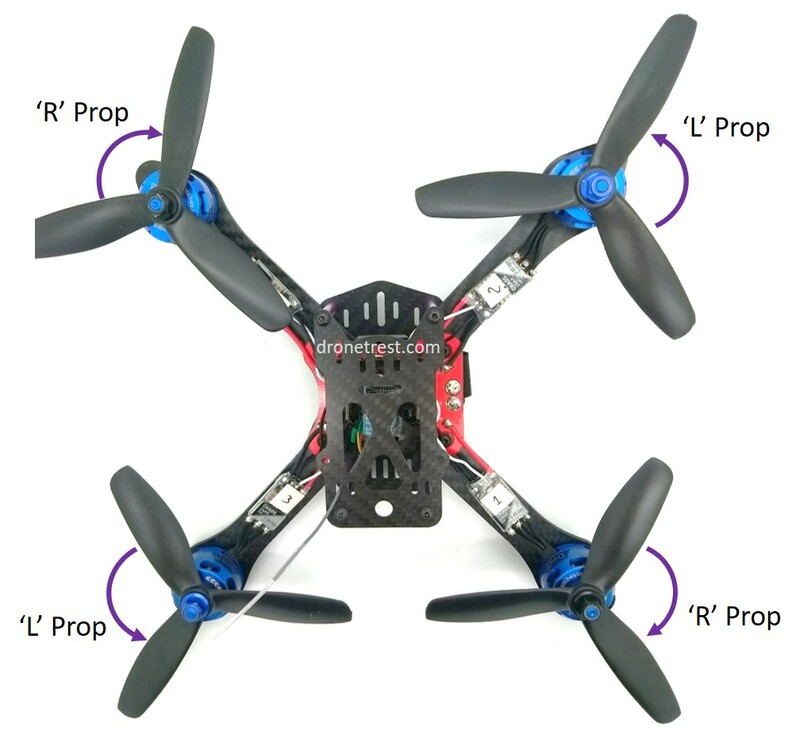 Be sure to attach propellers with ‘R’ on them to motors 4 and 1, and attach propellers with an ‘L’ on them to motors 2 and 3. You should then tighten the nuts back on top of the propellers, making sure they sit directly on top of the propeller (you will need a tool to do this, either a nut wrench or a pair of pliers). 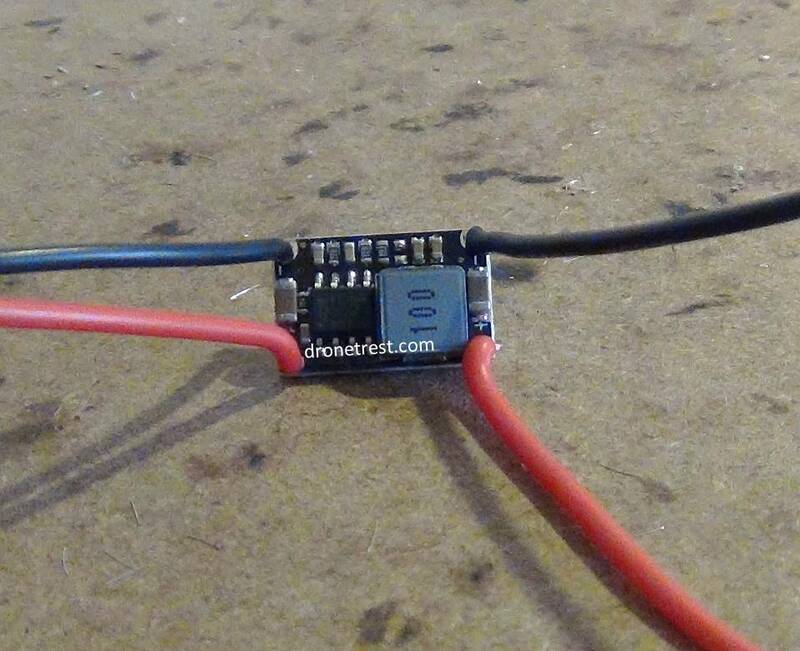 And the very last thing we do in this guide is to secure the 1550mah 75C 3S LiPo battery onto the Martian quadcopter. The very bottom plate that we attached to the frame right at the beginning is the plate to which we will secure the battery. We get one of the velcro straps supplied in the Martian kit and slip it through two of the slots in the plate (make sure to insert the strap in the correct orientation). We want the battery to be as centred as possible so that it doesn’t disrupt the balance of the frame. We also want it to be as secured as possible as, obviously, we do not want it to become loose in flight. We therefore found it to be best positioned as shown above. You can add extra security by adding bit of sticky-backed velcro or a bit of 3M mounting tape to the underside of the battery. This may not be totally advisable however as you will want to detach the battery from the frame at some point. And there we have it! 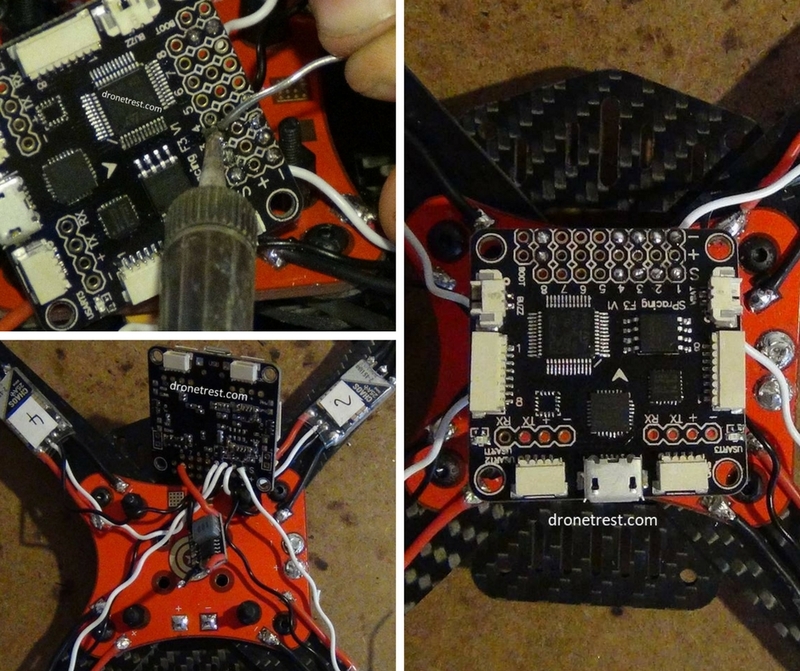 A (now) Ready-to-Fly (RTF) quadcopter built from scratch! Congratulations! If you have any questions about this build, please comment below and we will do our best to answer them. 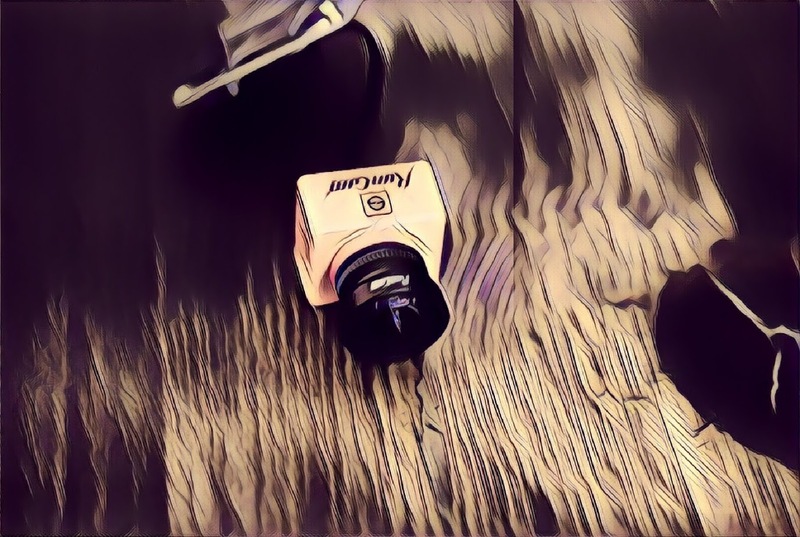 Runcam Split 2 📷 - Is It What The First Split Should Have Been?